Whether you’re decluttering your home or business premises to give yourself more space or are facing the sad task of clearing the house of a deceased relative, our guide will help you to keep the costs down and ensure that everything goes smoothly. How much does clearing a house cost? 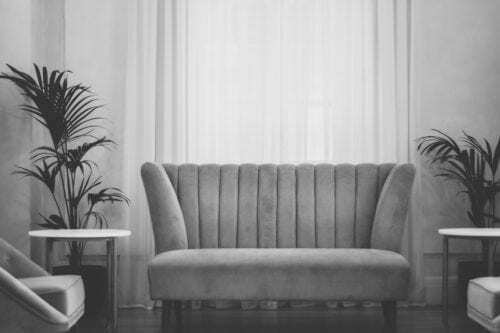 Clearing a house is a difficult and time-consuming task that sometimes needs to be carried out at a stressful time such as after a bereavement: or perhaps your business is moving to new premises and you need to dispose of old office furniture and carpets. Of course, you can do it yourself but when you factor in the costs of hiring a skip and/or a van as well as your time, you may well decide that it is best to leave it to the professionals. A specialist house clearing firm will take care of everything for you, from disposing of rubbish to lifting carpets, offering a discreet, reliable service that is always sensitive to your requirements. When searching for a house clearing company, it’s essential to compare quotes to get the best deal. To receive up to 6 completely free, no-obligation quotes from reputable clearance firms, just fill in the online form below: the difference in prices offered by house clearers in your area can be considerable and you will find that you can save up to 40% by shopping around. 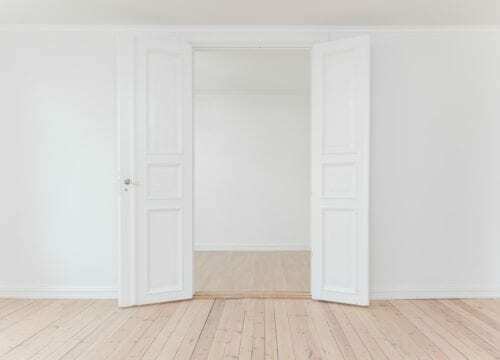 What is the difference between house clearing and house removal companies? When you’re researching moving companies to assist you with clearing a house, you will probably come across various house removal firms as well as those offering specialist house clearing services. At first glance, they may appear similar but there are clear differences between them. A house removal company will assist you with transferring your household effects from your old home to your new address. They may offer additional services such as packing and unpacking your belongings in your new house. On the other hand, a house clearing firm will get rid of all the things you are never going to need again, whether this is disposing of rubbish from large premises, removing a single item or emptying a house, garage and garden before selling or renting it to new tenants. What services do house clearing firms offer? A house clearing firm offers a wide range of services: they may offer removal and relocation services but will also be able to assist you in getting rid of all the things that you do not want to take with you to your new home. This service can be booked as part of a removal package or may be ordered as a separate service. The clearance firm will be able to assist you with lifting carpets, clearing loft spaces and cluttered garages and sheds, removing junk from gardens and yards. As they aim to resell or recycle as many as possible of your unwanted possessions, this will help to offset the cost to you. A specialist firm is likely to have an extensive address book of contacts where they can resell various items, ranging from bricks and paving slabs to valuable antiques and jewellery. How do house clearing firms help you to keep costs down? Every house and its contents is different and when giving you an estimate, house clearers will weigh up the negatives and positives overall. On the negative side are things that they will have to pay to dispose of, such as old mattresses and carpets. The cost of getting rid of these may be offset by the value of any items that they can resell. The ratio between these two means that you may have to pay a fee or the house clearers may make a payment to you. House clearing firms will try to resell or recycle as much as possible and minimise the amount of rubbish that goes to landfill, so employing the services of specialist house cleaners is also good for the environment. If you have the time to spare, you can save money on house clearance by doing some of the work yourself: you might even be able to make a bit of extra cash. • A good way to raise some extra money is to sell any items of value yourself. With smaller items, many people prefer to sell them at a car boot sale. Other effective ways of selling include Gumtree, Etsy and eBay. Don’t underprice the items: it’s easy to compare and see what similar items have sold for in the past. • Most towns have furniture recycling charities that will collect larger items of furniture in good condition so that they can be reused by those in need. Sofas, cabinets, tables and chairs will all be welcome donations; soft furnishings must meet the relevant fire safety standards to be acceptable. • List items on Freecycle: you may not make any money but you will be helping to avoid things going to landfill. Items which are not worth much to you may be just what someone else is looking for and the new owners will come and collect, saving you time and trouble. Clearing a house or other premises is a demanding task that is not for everyone and you may well prefer to let the professionals take care of it for you. However, at a time when you are probably facing many other expenses, it makes sense to keep costs as low as possible. The best way to be certain that you are getting a good deal is to compare quotes from several firms. Simply fill in the form below with your individual requirements to receive free, no-obligation quotes from 6 reputable local companies: with prices varying by up to 40%, you will be surprised at how much you can save.